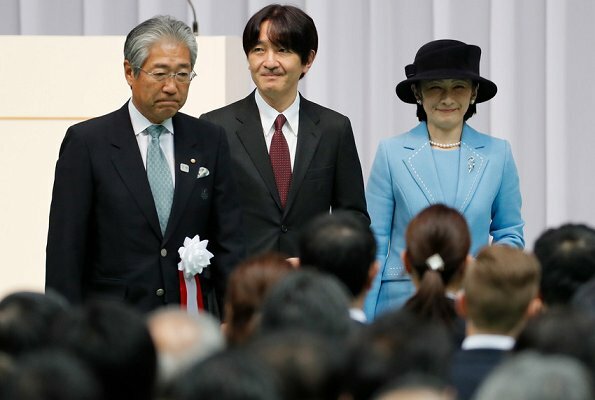 On January 24, 2018, Japan's Olympic delegation gathered for a farewell ceremony in Tokyo's Ota Ward before departing for the Pyeongchang Winter Games. 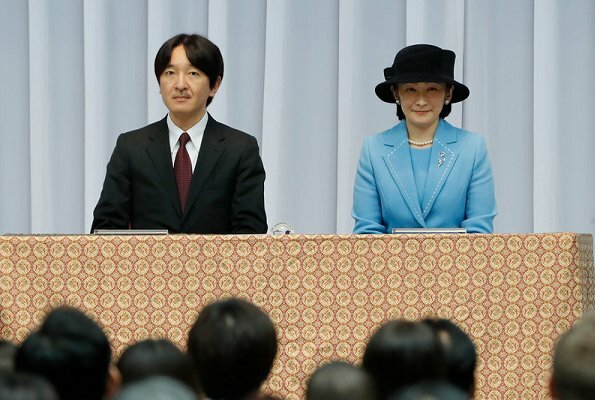 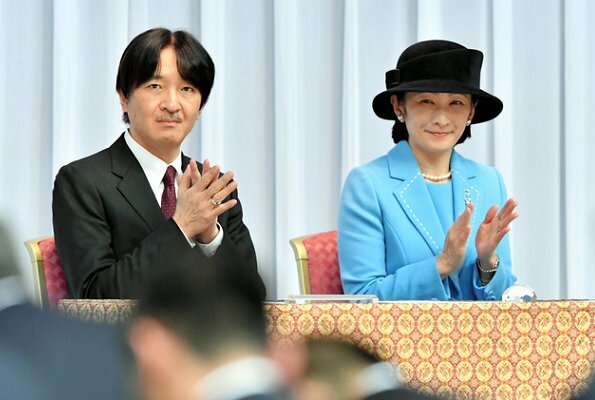 Prince Akishino and Princess Kiko attended the send-off ceremony for the Japanese national team for the PyeongChang 2018 Olympic and Paralympic Winter Games at the Ota-City General Gymnasium in Tokyo. 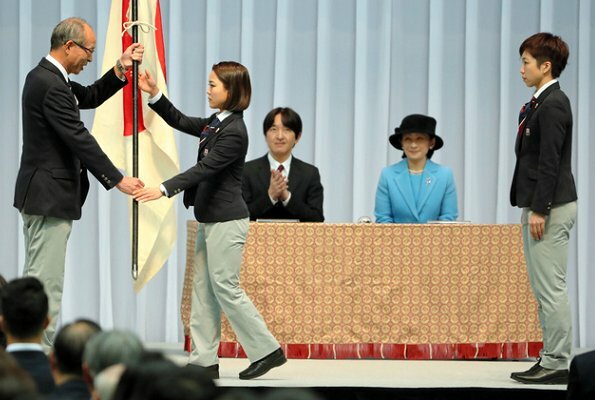 The PyeongChang Games open on February 9th. 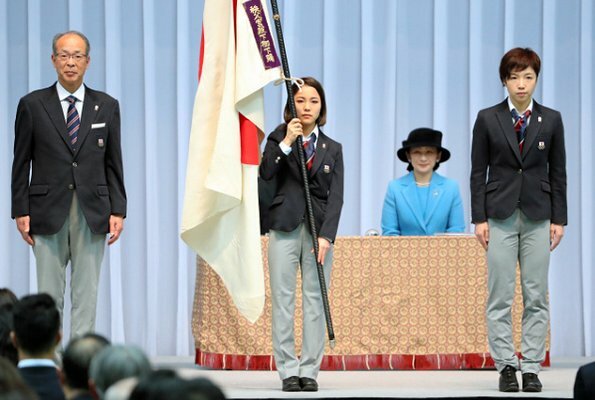 Kiko looks rather good here. 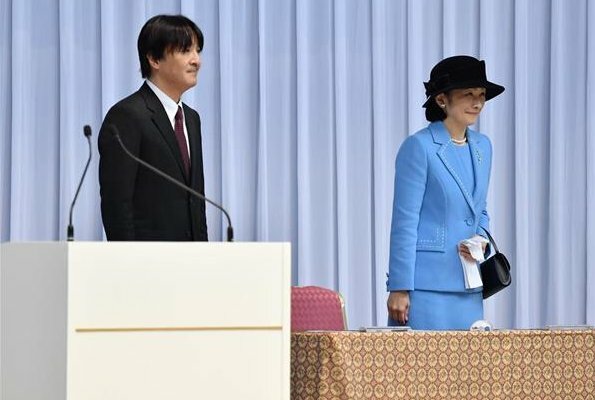 It was great honor to welcome Prince and Princess Akishino at the send-off ceremony for Japanese National Olympic Team to Pyeong Chang Winter Olympic Games 2018, I think.